Compatible with most inkjet printers. White or light colored fabrics in polyester/cotton blends, 100% preshrunk cotton fabrics such as t-shirts, aprons, pillowcases, canvas bags, sweatshirts, caps, smocks, etc. 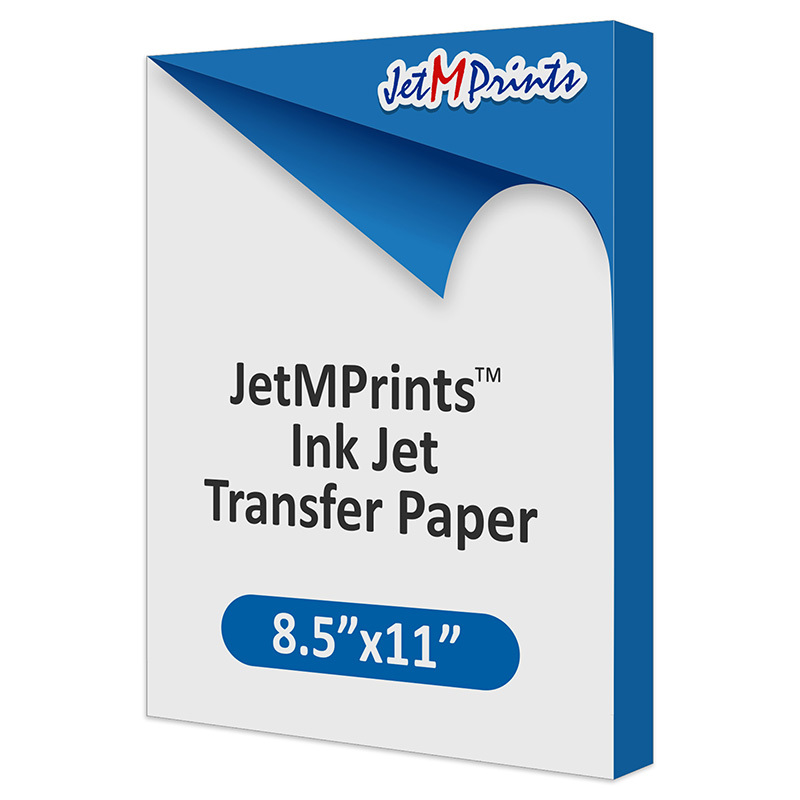 JetMPrints™ Ink Jet Transfer Paper, 8.5" x 11". Compatible with all desktop Ink Jet printers. Recommended for white or light colored fabrics: 100% cotton and polyester/cotton blends. Backing sheet peels hot or cold. (100) sheets per pack. JetMPrints™ Ink Jet Transfer Paper, 11" x 17". Compatible with all desktop Ink Jet printers. For white or light colored fabrics: 100% cotton and polyester/cotton blends. (100) sheets per pack.